The Local Initiatives Support Corporation (LISC) Sustainable Communities Initiatives supports community-driven efforts to revitalize neighborhoods through comprehensive community development. In 2006, Indianapolis launched the Great Indy Neighborhoods Initiative (GINI) to promote healthy communities through comprehensive quality-of-life planning and development. This effort has resulted in several programs and targeted investments in six demonstration sites throughout the city. 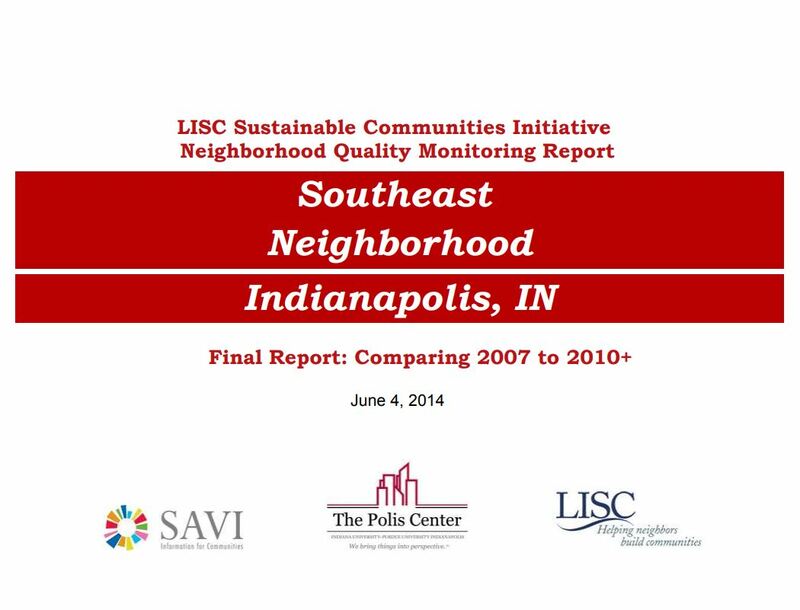 This report is intended to help local funders, civic and neighborhood leaders, and LISC staff monitor change in these areas of concentrated investment by providing local data and indicators of quality of life in one of the six demonstration neighborhoods, Southeast.